A new year means new challenges, so what does the current state of marketing tell us about the coming year? Although the beginning of a new year is often an exciting time, for many it can bring new challenges. As new trends emerge in a variety of different sectors, businesses need to be looking to the future and to how they can keep pace with fast-moving technological world we are now in. But in order to tackle these challenges and trends, it’s vital to fully understand exactly what they are. By understanding the current trends, marketers will be able to identify how they can incorporate them into this year’s strategy. By identifying current challenges, this year’s strategy can be altered to help embrace these difficulties and strengthen these areas of marketing. To be able to accurately determine whether or not these challenges are being overcome, marketers will need to know exactly which tactics they use in their marketing and how they’re measuring performance. Being able to understand the industry as a whole will provide a much needed insight into the current state of marketing and also provide marketers with hard facts they can use to support their marketing decisions in the coming year. It can also provide a key indication as to where marketers currently stand in their field, whether they’re ahead of the curve or slightly behind and provide some hard evidence they can take to stakeholders to help secure further resources in order to achieve exactly what they want. 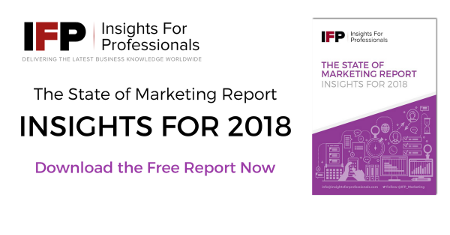 This infographic pulls together the key stats from our latest analyst report and provides marketers with invaluable access to the current state of marketing.